Well, then! Last week’s rain/slow/sleepy vibe gave way this week to activity and bustling work. I’ll take it! Not much of an intro this week 🙂 So let’s jump right into the Must-Share goodies from the last week. Enjoy! Really cool and beautiful hand-painted videos of skateboarders. Everything about this is dreamy: the concept, execution, all of it. Love. I don’t have a microwave, so it’s more like 15-20 minutes in the oven, but still… That’s enough time to do other stuff while it bakes and then, YUM. Plus, it’s gluten-free, grain-free, can be vegan, and is loaded with fiber. Looks like a fantastic way to start the day. 4. Ashley from Edible Perspective shared HER love of homemade beauty products. As you know, I couldn’t agree more! It’s wayyyyy easier than you might think. Guest blogger Leslie Carr on mindfulness and waking up to our lives. She’s basically talking about the true heart of yoga. In yoga, we teach what is called the stilling of the fluctuations of the mind. When you learn to become still, the world opens up. As you begin to wake up to your true self and your true life, you begin to notice things in new ways. With practice, you start understand that you have this new way of looking at the world, which makes it easier (and more necessary) to peel away the layers of programming that make you think you’re someone you might not actually be. Cognitive dissonance, live and in person! 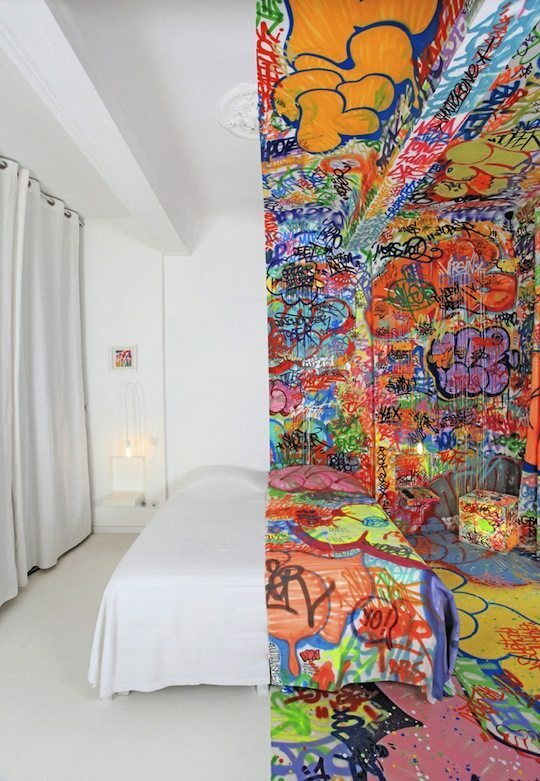 I’d love to stay here with my honey, but which side of the bed would I sleep on?? Is that a gorgeous cover or what? 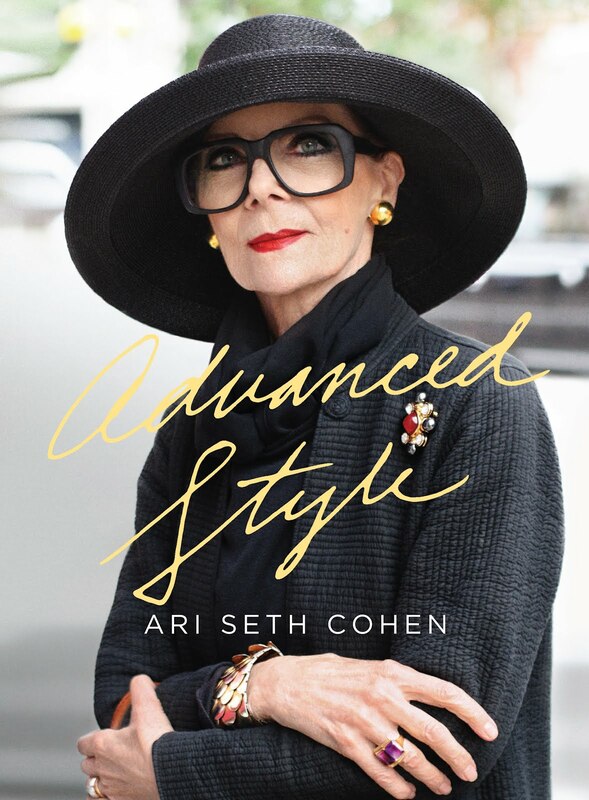 If you’re not already familiar with the Advanced Style website, you should be! These women are who I want to be in 50 or so years. Never compromising their style, glamour, or eccentricities, always staying rad. Plus, they highlight men with advanced style, too. Can’t wait to get the book, but it doesn’t come out till May 22. Patience, grasshopper. Good perspectives when you’re caught in a spiral of melodrama, navel gazing, and self-centeredness. Eight this week, that’s all I had time for! 🙂 If you’ve got ones to add, feel free to stick ’em in the comments! Ohhh, I love it!! It’s SO true and even though I’ve been blogging on and off for so many years, this is the first time I’ve ever really reached out the way I have and taken it to heart, and it’s been amazing so far, the support and friends I’ve found even as a “newer” blogger. Finding those connections that she talks about make it all worth it 😀 SUPER warm-fuzzies for sharing this! And I’m totally motivated now, too! Plus, I really want to go to a food blogger conference someday. P.S. ~ Also, what a great introduction to some blogs I don’t yet follow but will now! Thanks again, Diva!! I am now officially in love with Advanced Style, thanks for bringing it to our attention. I really hope this link works but it’s a photo of Jimi Hendrix at a job interview that a friend posted on Facebook. It was my fave of the week. Haha! That’s hilarious, poor Jimi. He looks like he’s about to sock the interviewer. No desk job for Jimi! Happy you like Advanced Style! Those folks are truly awesome, soooo inspiring. Have a fantastic weekend!